Motion capture in a 14m by 6m room is enabled using eight stereophotogrammetric optoelectronic infrared cameras. The cameras are able to obtain dynamic trajectory of several dozens of passive reflective markers placed on the body segment with precision of ~0.2 mm (2.2 MPX) and sampling frequency of up to 250 or 330 FPS. 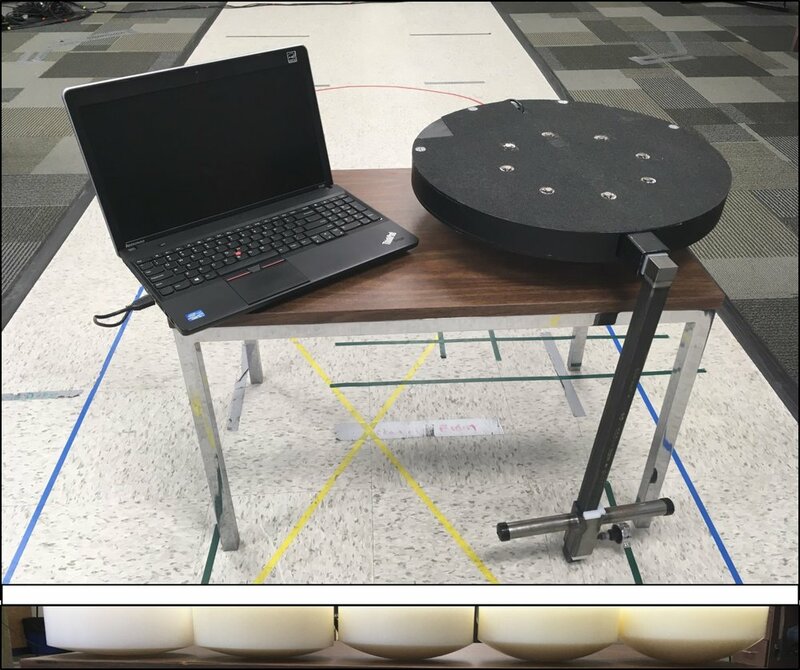 Two AMTI force plates are used for measurement of 3D force and moment interaction between the body and ground (vertical force up to 1000 lb) during a large variety of daily or athletic movements, with very highly sampling rate and accuracy. These 11 internal sensors are composed of 3D gyroscopes, 3D accelerometer, and barometer and are able to record motion data at 256 Hz for several hours. The sensors autonomy is particularly used in our clinical studies in Edmonton, Toronto, and Montreal. These 18 internal sensors are composed of 3D gyroscopes, 3D accelerometer, and 3D magnetometer and are able to record motion data at 100 Hz. The sensors are able in measure body motion synchronously with other motion capture systems and are used in our technology development studies. These 16 measurement modules are composed of EMG sensors, 3D gyroscopes and 3D accelerometer, and are used for our clinical and sports research studies. FREEEMG is a 4G technology device for surface EMG analysis. It has wireless probes for the dynamic analysis of muscle activity. Four pair of PEDAR insoles each one embedding 99 capacitive pressure-sensing elements able to measure dynamic plantar pressure at 100 Hz. We use this potable system for in-flied biomechanical assessments in clinical and sports applications. 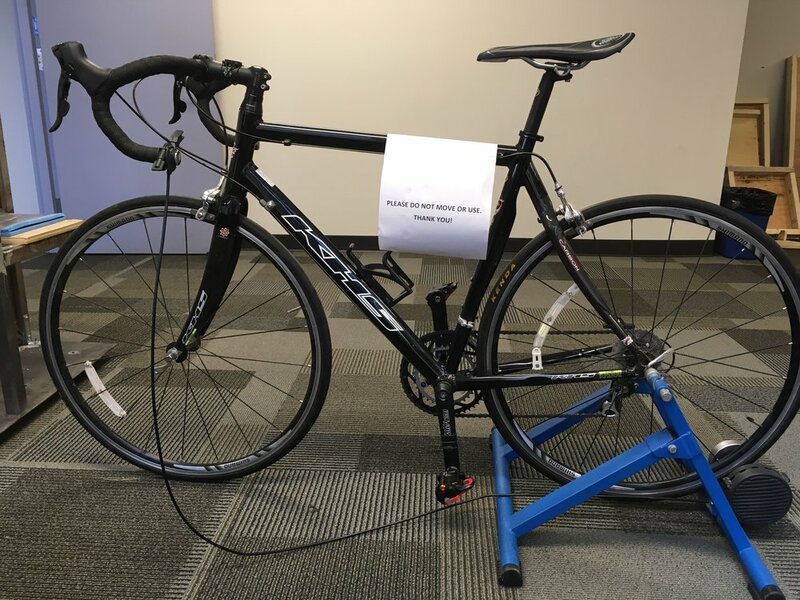 This bike equipped with functional electrical stimulation (FES) enables individual with brain or spinal cord injury to perform athletic or recreational activities. We use this depth camera for markerless motion tracking. This Functional Electrical Stimulation (FES) system by Hasomed is used for externally eliciting contractions of superficial muscles in humans. The FES system provides small electrical currents via surface electrodes that, in turn, evoke muscle contractions of different magnitudes (based on stimulation amplitude or pulse width). 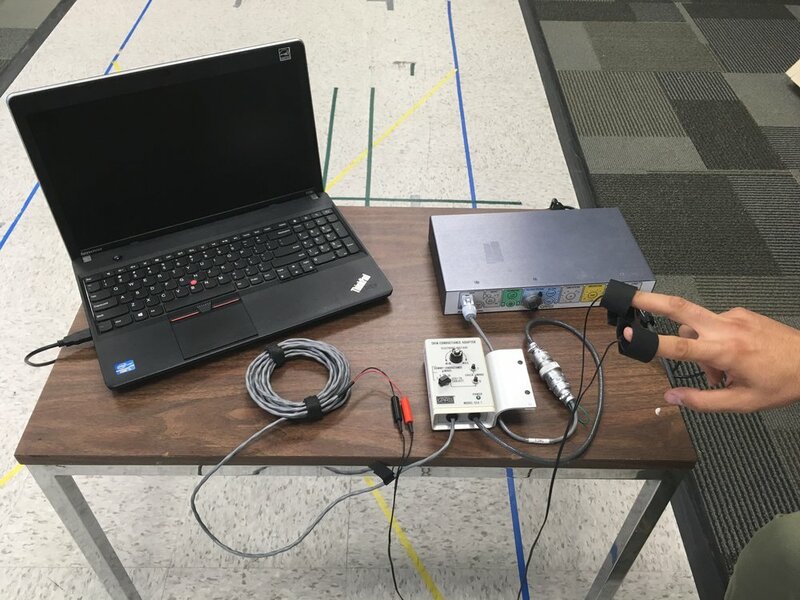 FES can be used, for example, to study muscle dynamics, to train function in impaired individuals, or to develop control schemes for neuroprostheses. This Galvanic Skin Response (GSR) sensor by Grass, along with its accessories, is used to detect and monitor changes in skin conductance. In past studies, the GSR equipment has been used for observing autonomic nervous system activity and response times. The two finger electrodes detect skin conductance levels of the skin, which are then transmitted to an amplifier and computer for further processing. This wobble board is used for assessing and training balance abilities during human sitting. It is equipped with a curved based to trigger imbalance, an inertial measurement unit to detect the board’s motion, and vibrating tactors in the board’s surface to provide sensory feedback to the user. An Arduino board is used to log the motion data and control the sensory feedback loop. Five different bases are available for the wobble board to allow different degrees of instability. The CAREN system from Motek is housed at the Glenrose Rehabilitation Hospital in Edmonton, Canada. It is a multi-sensory system that is used for both the clinical evaluation and rehabilitation of Glenrose patients as well as Canadian Forces personnel presenting with physical and/or psychological injuries. The CAREN system consists of a six-degree-of-freedom robotic platform which provides three-dimensional translation and rotation via hydraulic actuators. As such, it is a virtual reality system that is useful for evaluating the effect of sensory information (e.g. auditory, visual, etc.) on human balance and gait as well as challenging the user's sensory environment during rehabilitation. The CAREN software allows users to create and modify the applications to meet individual goals of therapy as determined by the clinical staff. Applications can be scaled to provide the appropriate challenge for all levels of the rehabilitation spectrum.